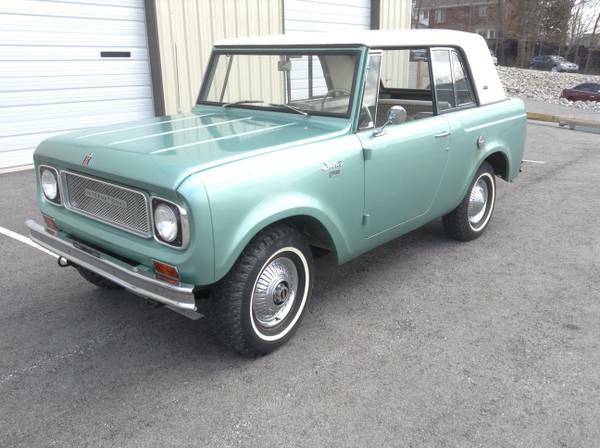 This pioneer modern SUV in US, International Scout II produced by International Harvester built in 1974. This car has been power swap to Chevy 350 engine grab from an American muscle car Camaro 1974 model year, unfortunately no engine photos to considered so you must see itself if you serious. The pics as confirm, all looks so cool with perfect shape and no rust issue. Interior built to take care of you from all rough terrain challenge and looks so strong. 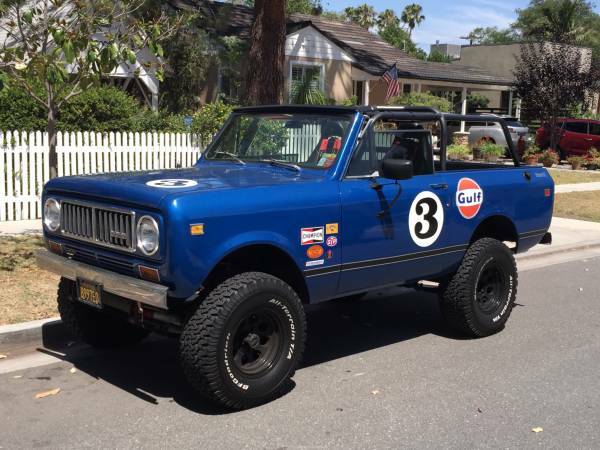 It's one of truly beast on off-road vehicle world, 1974 International Scout II ready to go for $16999 location at Los Angeles. 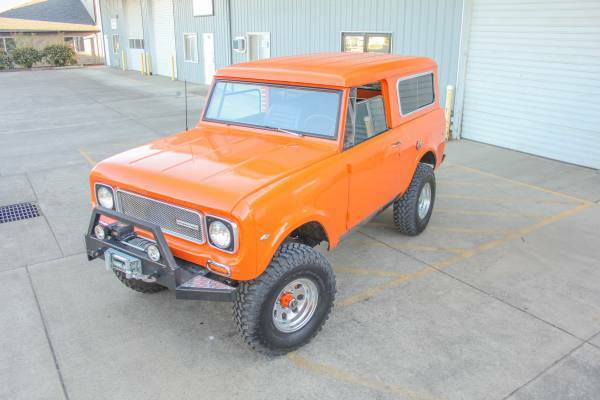 This is an AMAZING and mean looking 1969 Scout Harvester! Thousands of dollars and many hours of work were spent on this custom street legal build. It turns heads and is fun to drive. This amazing vehicle is located in Albany, Oregon and we encourage everyone to come take a look at it and drive it for yourself. The best opinion is your opinion. This the American classic SUV produced by International Harvester, it was created as a competitor to the CJ Jeep. 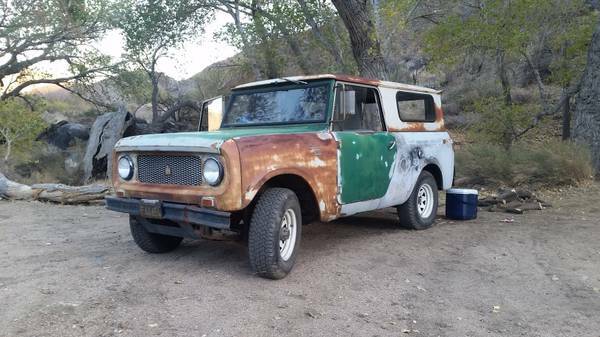 Built in 1961 it's a Scout 80, were identifiable by removable sliding side windows, had the gasoline-powered 152 four-cylinder with manual transmission 4x4 handling running condition, it would be nice object for your restoration project. 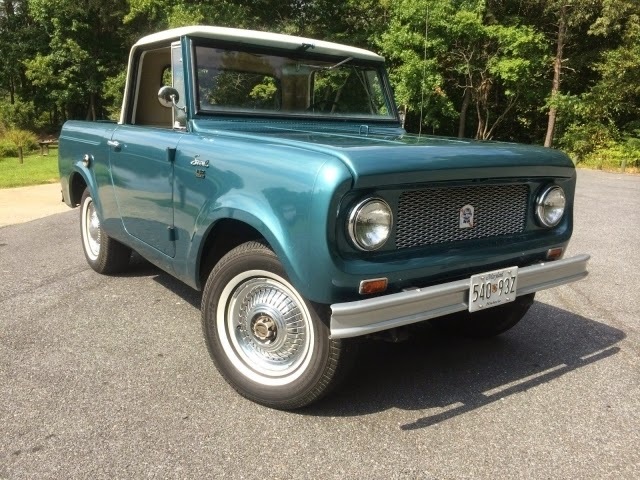 Here's American classic 4x4 pickup truck produced by International Harvester, it's early Scout 80 series built in 1965 comes with original 152 ci 4 cylinder engine and runs perfectly with 3 speed transmission that works just as it should. Awesome... 49 years old truck still on very nice conditions.